Bob Branscombe is a Building Surveyor with more than 25 years of experience in the construction industry. He started work as a teenager in his families’ contracting company and went on to study construction; becoming a member of the Chartered Institute of Builders in 1993. 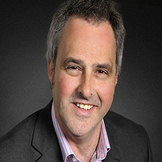 Robert is also a member of the Royal Institution of Chartered Surveyors. Bob will be happy to discuss your specific situation and advise you on the most appropriate course of action. For simple domestic projects this may be issuing the necessary letters and party wall agreements, while large scale projects may require more involved advice and negotiations to prepare party wall notices with multiple neighbours. Bob has a team of qualified surveyors on which he can call to assist him in these matters.